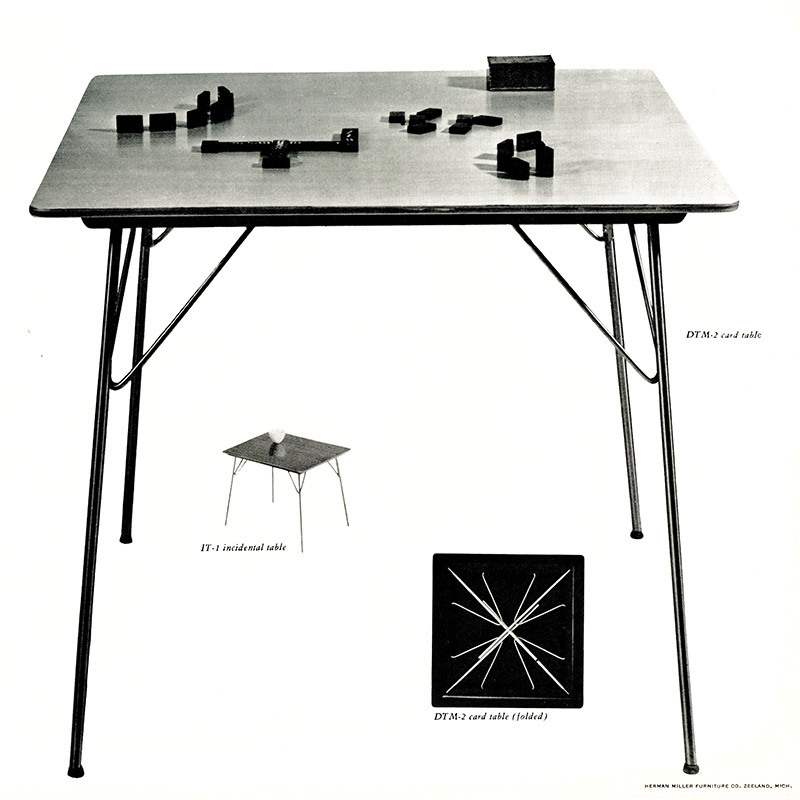 What was the Eames DTM Table Series? 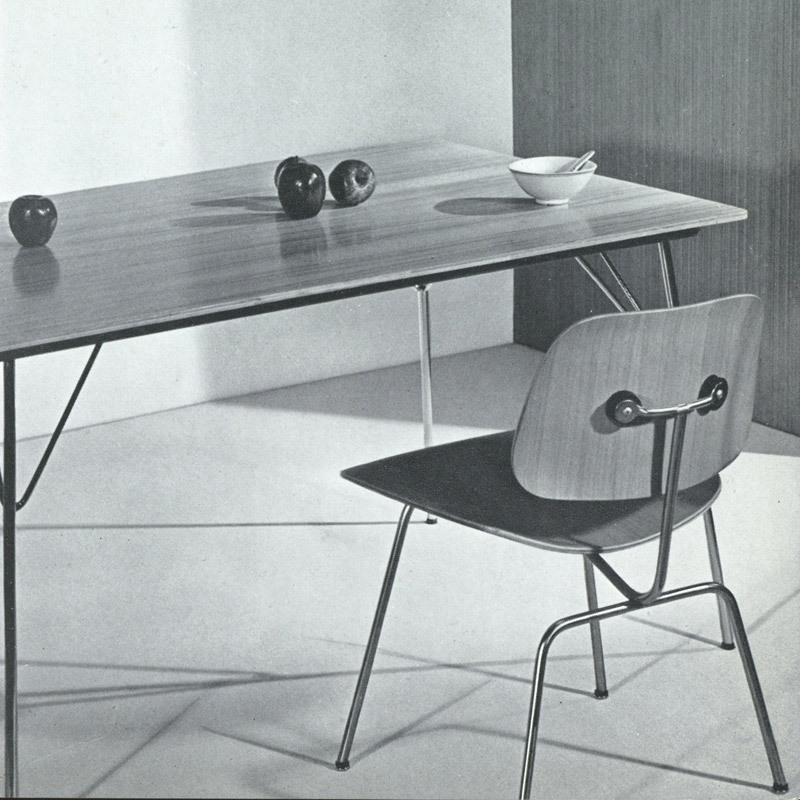 Released to the market in 1947, the Eames DTM table was the abbreviated name of the Dining (D) Table (T) on Metal (M) base. 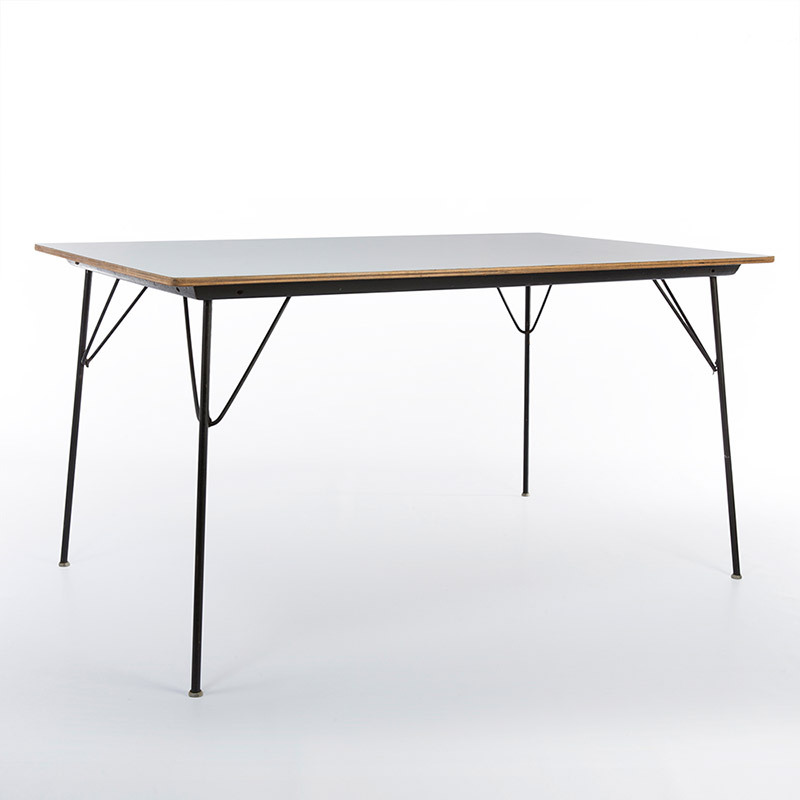 It comprised of a range of four variants; a larger rectangular table in natural veneer (DTM-1) or plastic coated Micarta (DTM-10) as well as a square 'card' table in the same choice of natural (DTM-2) or plastic (DTM-20) finish. 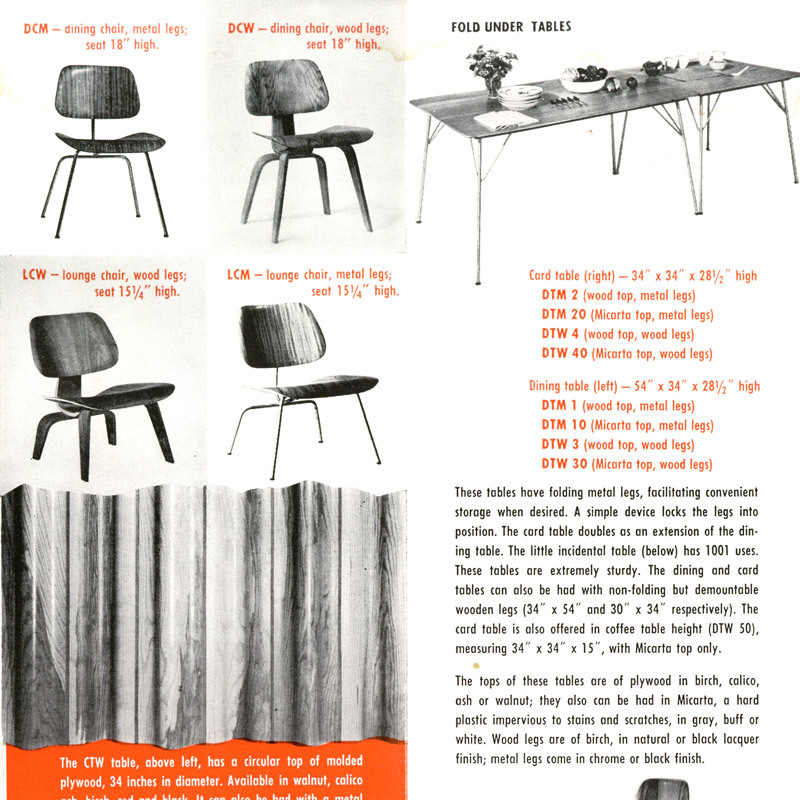 The post war era in the US created new design needs for furniture pieces, something the DTM met with an ingenious solution. 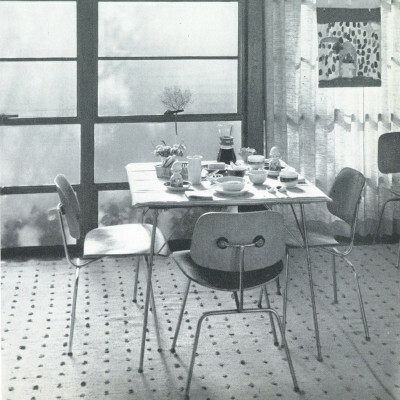 New housing was being built and space was at a premium, furniture was required that could be stowed and semi permanent. 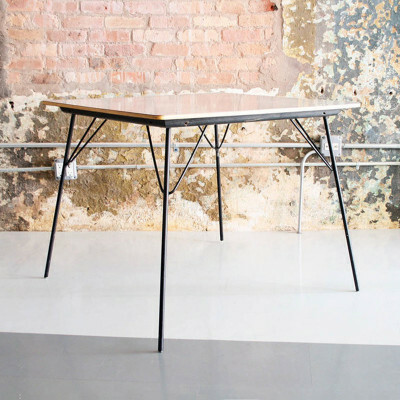 The Eames DTM table's four legs could fold inside a hidden recess of the top itself and render it perfect for easy storage. 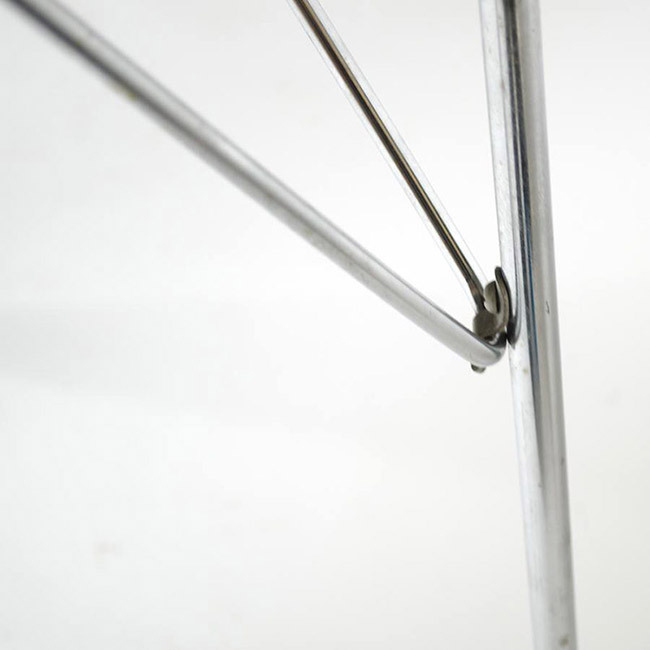 When the legs were withdrawn to stand they would simply click into place with a built in clip on the leg. The Eames DTM table would also become known as the Eames 'drop leg' table or Eames 'drop' table because of it's brilliant functional design. 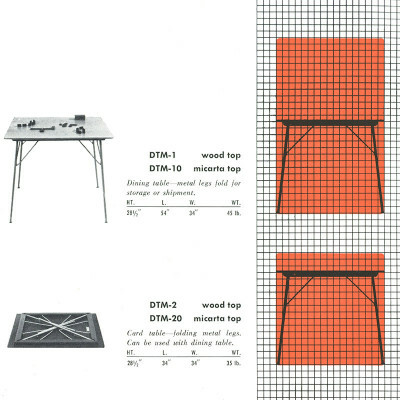 The tables came on the back of the successful release of the plywood furniture including the DCM chair, CTW table and FSW screen. 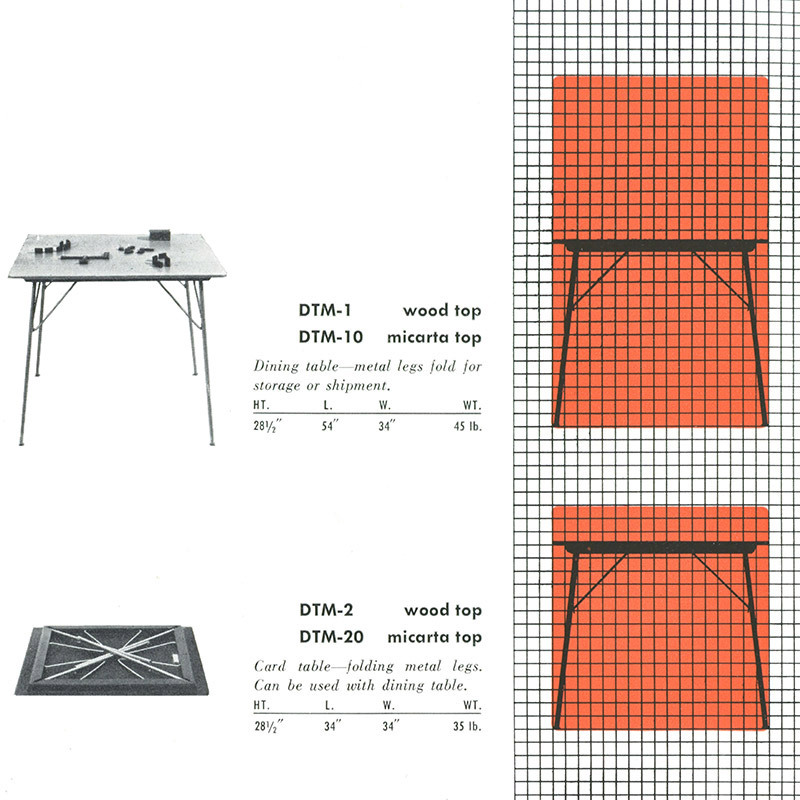 The DTM's top would also utilize the plywood forms that created great strength and visually beautiful results but there was a snag. The Evans Molded Plywood Company was not in any position to invest into new designs and a third party investor/manufacturer would be drafted in, one Warren Kerkmann. 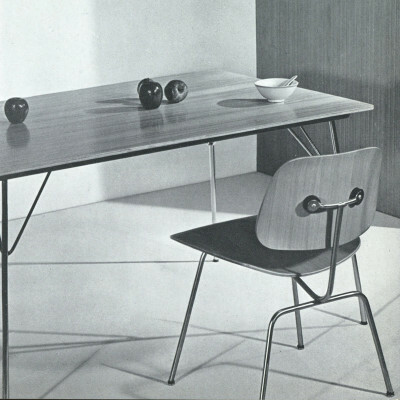 A new company was formed whereby half of the profits of the tables would go to Kerkmann and half to the Eames Office. 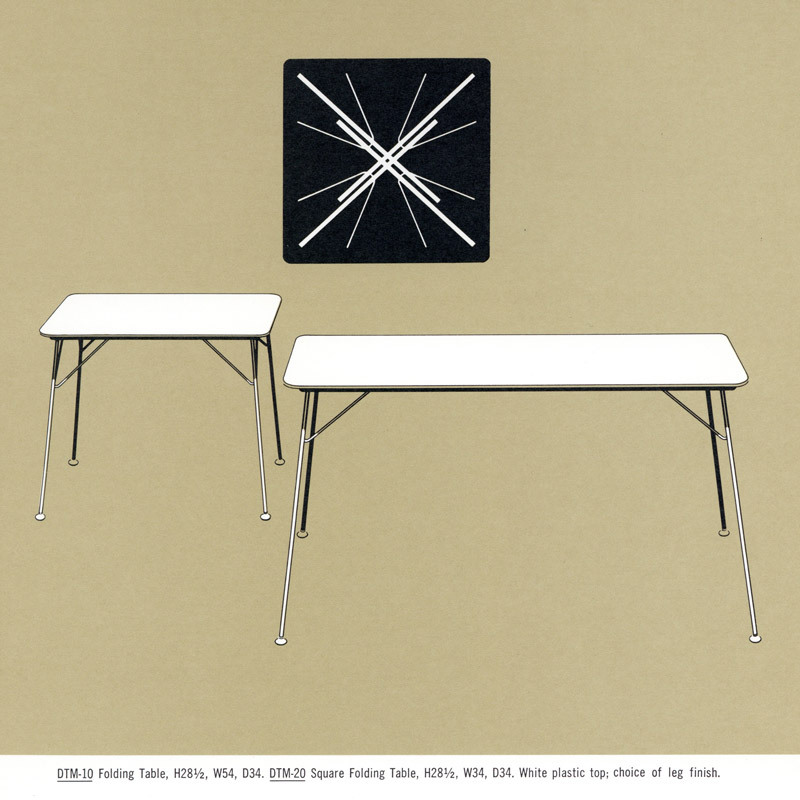 Kerkmann Manufacturing would make the tables for two and a half years before their own precarious position would see them selling the range to Herman Miller. Miller continued to make the DTM until late 1964 when it was discontinued. 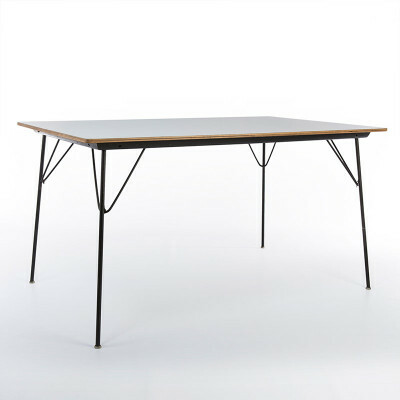 What are the sizes of the Eames DTM tables? 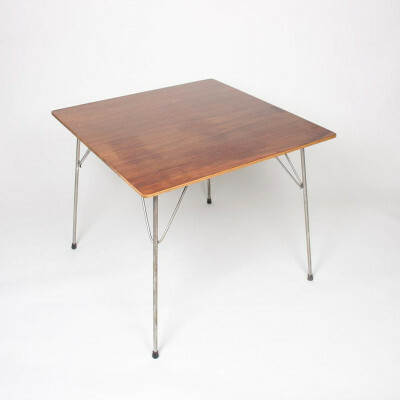 Is my Eames DTM table authentic? What makes it valuable? There are no known copies of the Eames DTM table by modern reproduction makers meaning authenticity is extremely likely. The early Kerkmann made tables had permanent feet which help you to date them between 1947 and 1950. 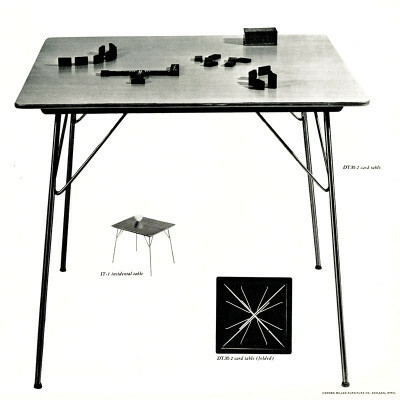 Kermann's tables did not have a label but instead a stamp on the underside of the table top denoting the model number. Herman Miller made tables since 1950 had a variety of typical period labels including the Foil Strip, Silver and black Disc labels. 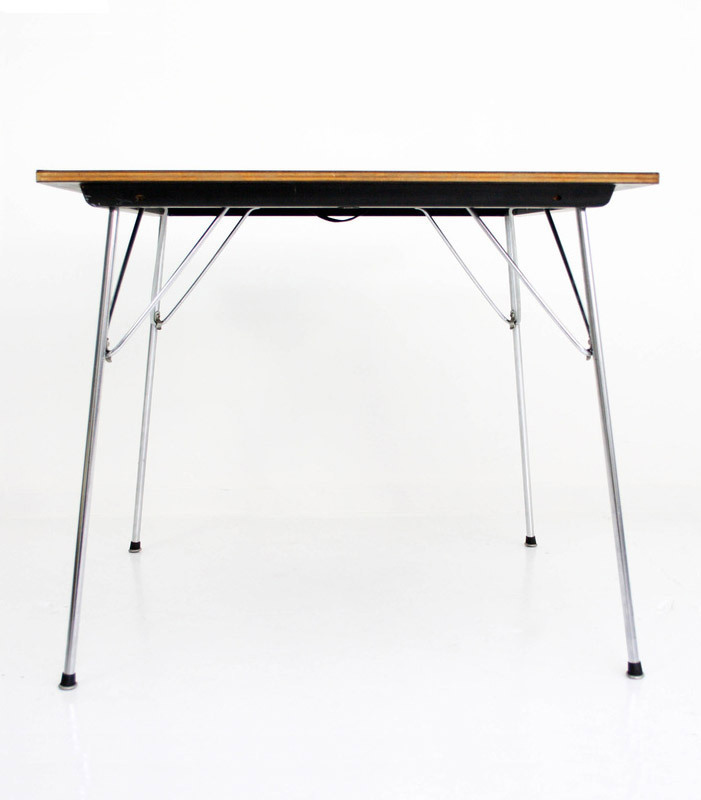 The square Eames drop leg tables were marketed as either smaller variants or extension tables for the larger rectangular ones. Both shapes and sizes are found within the secondary marketplace with the larger creating a higher value as may be expected. 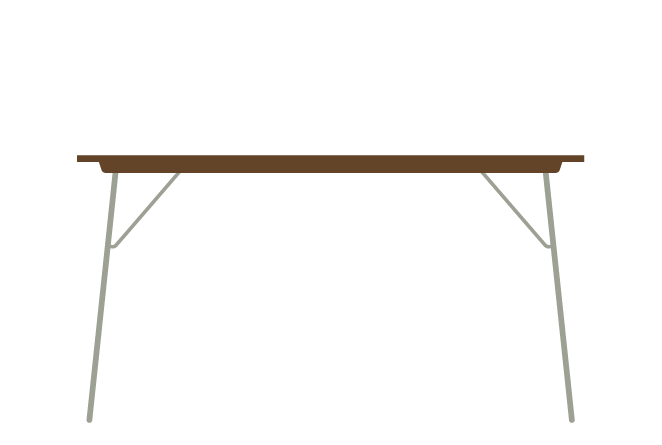 The tables with natural veneers tend to make a higher price at auction but only marginally. 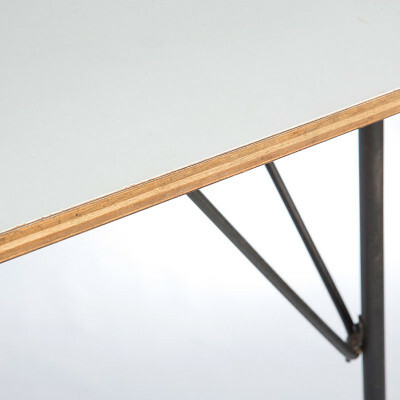 Walnut Veneer tends to be the least seen variant of the tops and the majority of Micarta topped tables tend to be white over grey. The condition will be the biggest value factor. 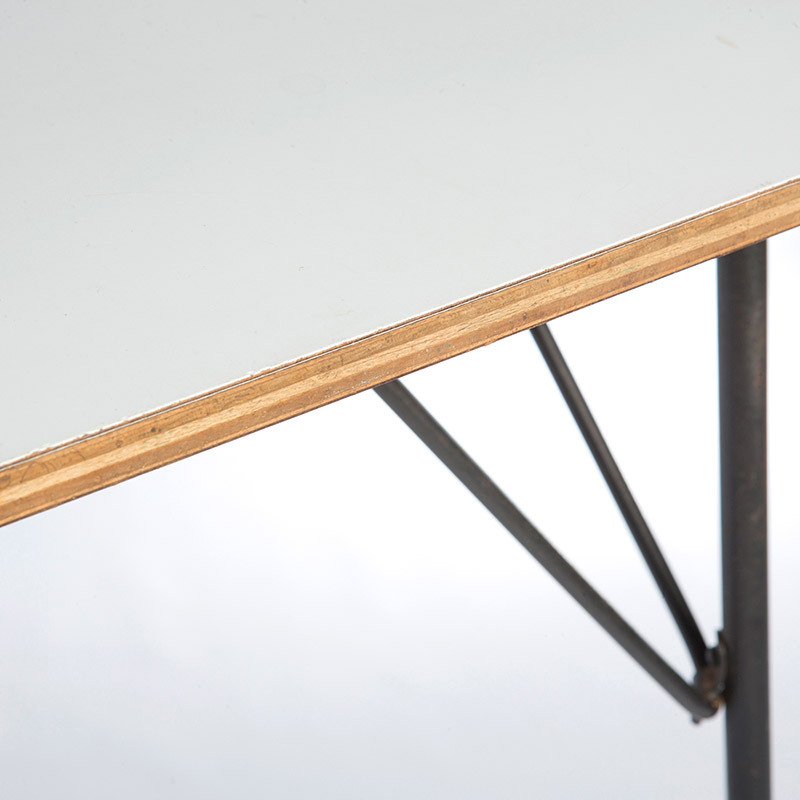 The edges of the table need to be checked for cuts, chips and dinks that can be unsightly. 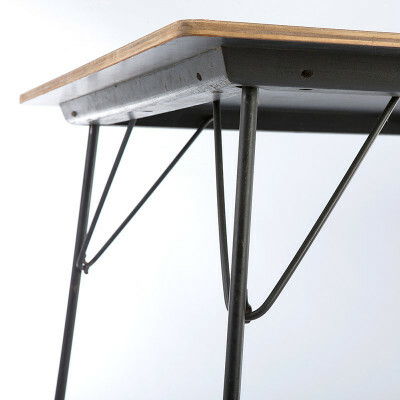 Check the legs fold out, clip and return to position well. 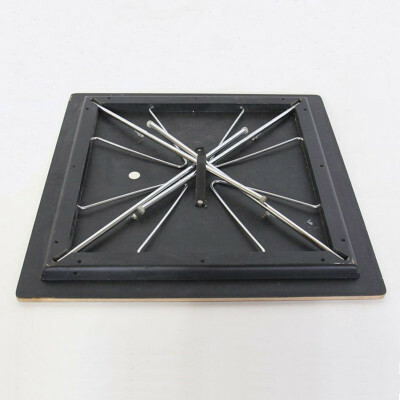 The early versions had fixed feet so if any were missing it would be difficult to replace them.